Are you celebrating today’s holiday? I never have been one to get too crazy with halloween decor and candy and such- don’t get me wrong I LOVE dressing up- in fact tonight I plan to literally just grab something from my big box of dress up and throw it on, but never been one for the scary movies and creepy crawlers. UNTIL, I moved into my current neighborhood. Then I was forced to- ha. Last year we went through our candy within 30 minutes and my husband was off riding our vespa to restock (that’s right he couldn’t take our car because our street was so packed, so he was left to ride away on our little vespa dressed as Fred Flinstone.) 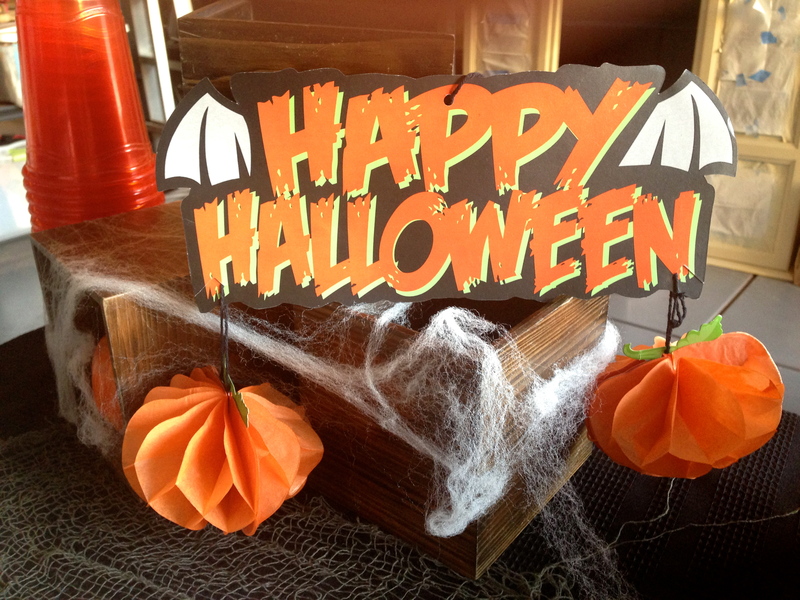 But not this year- today we are prepared with 11lbs of candy and friends bringing even more! Our house will be complete with dry ice and a black light- sounds legit right? Whelp my neighbor turns his house into a haunted house- even more legit! But with all that said, Halloween is all about the sweets and candy right? 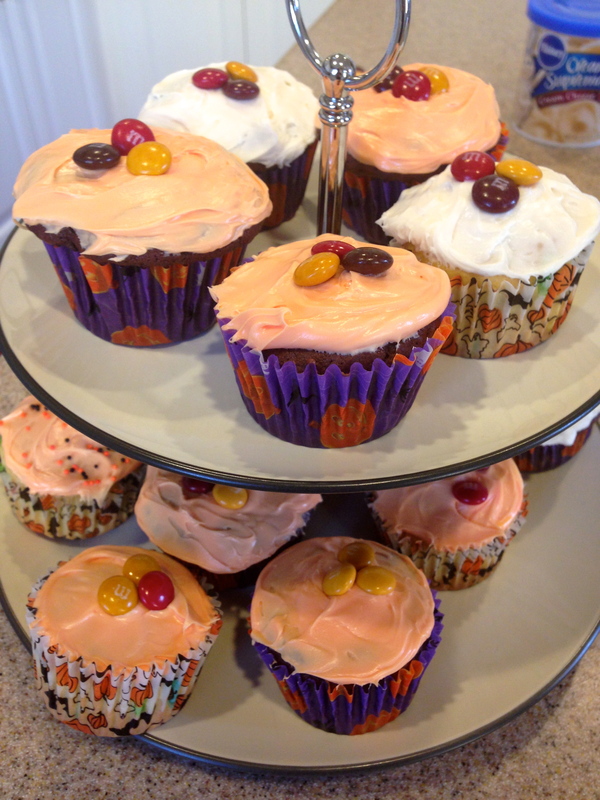 Here are some yummy treats to make…. Preheat oven to 350 degrees. 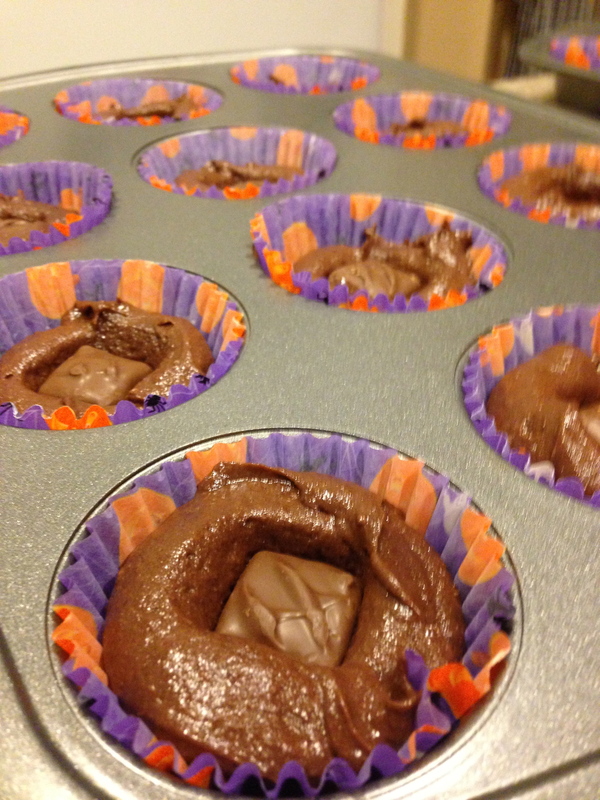 Line cupcake tins. 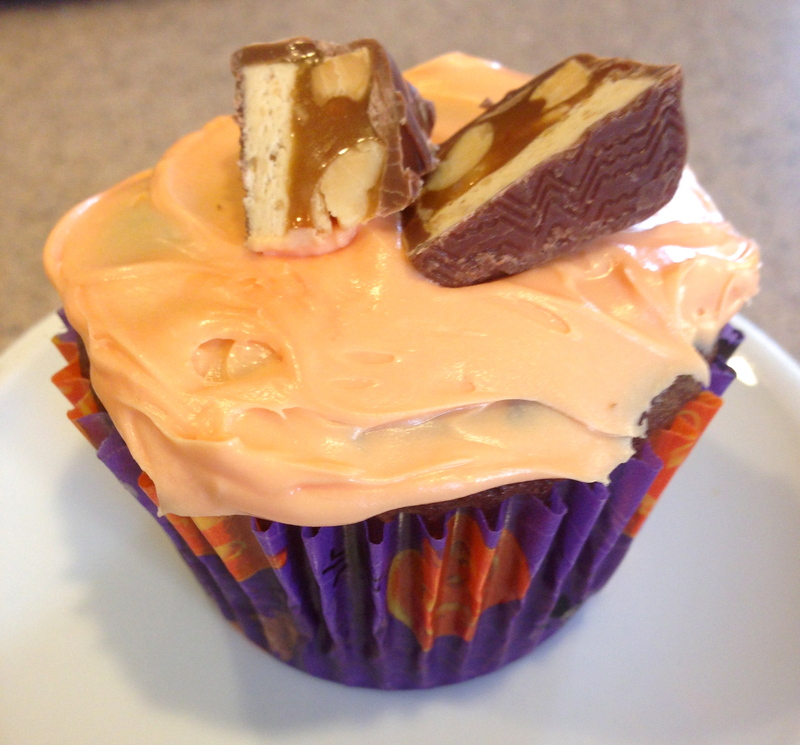 Scoop batter into cupcakes (I used a ice cream scoop), then sink in one snickers per cupcake. Bake for 20 to 25 minutes. Then let cool before frosting. 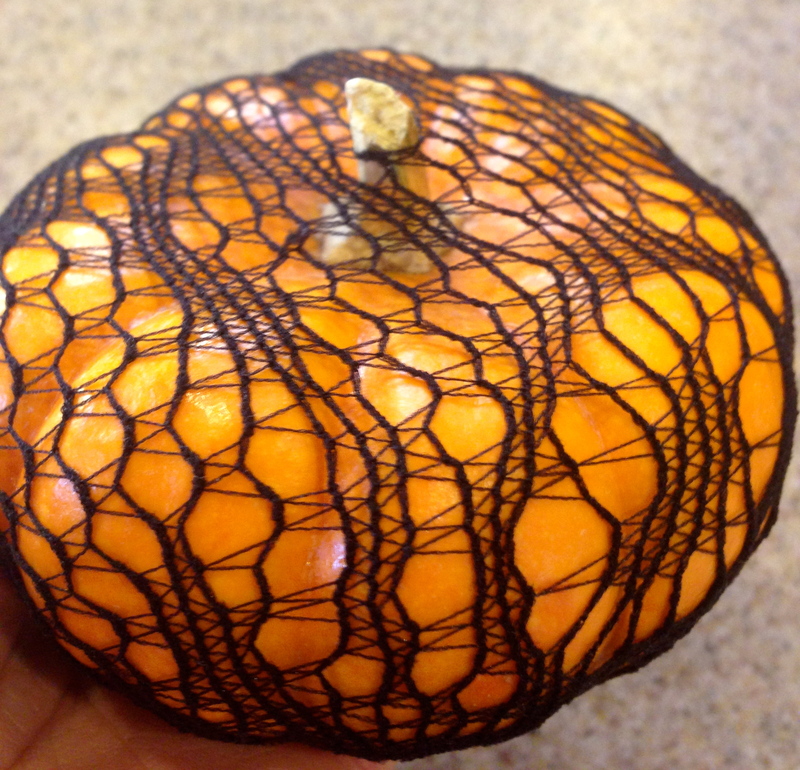 Last minute pumpkin decor- all you need is nylon and pumpkin!! 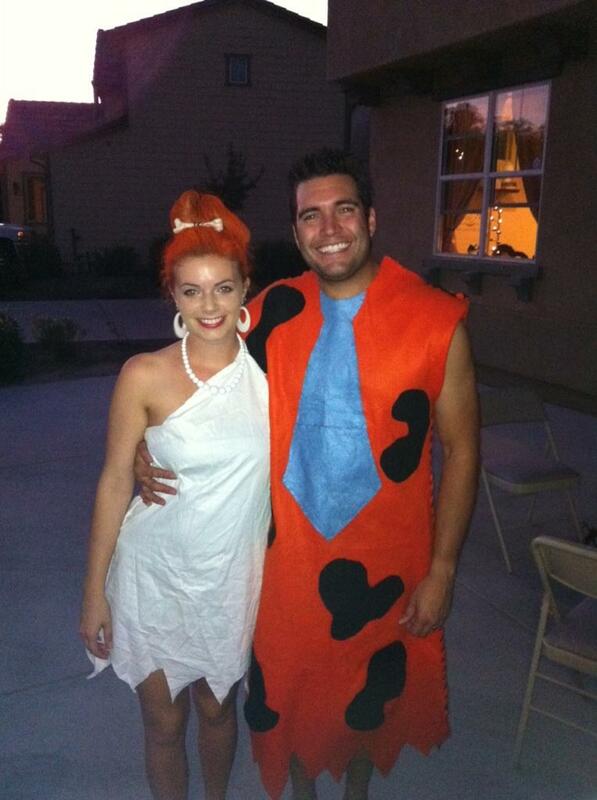 Here is what we dressed up as last year, I will have to let you know what I decide tonight!